Tonight’s mosaic was inspired by a little doodle I drew. When I was drawing it I was thinking about the ripples in water. 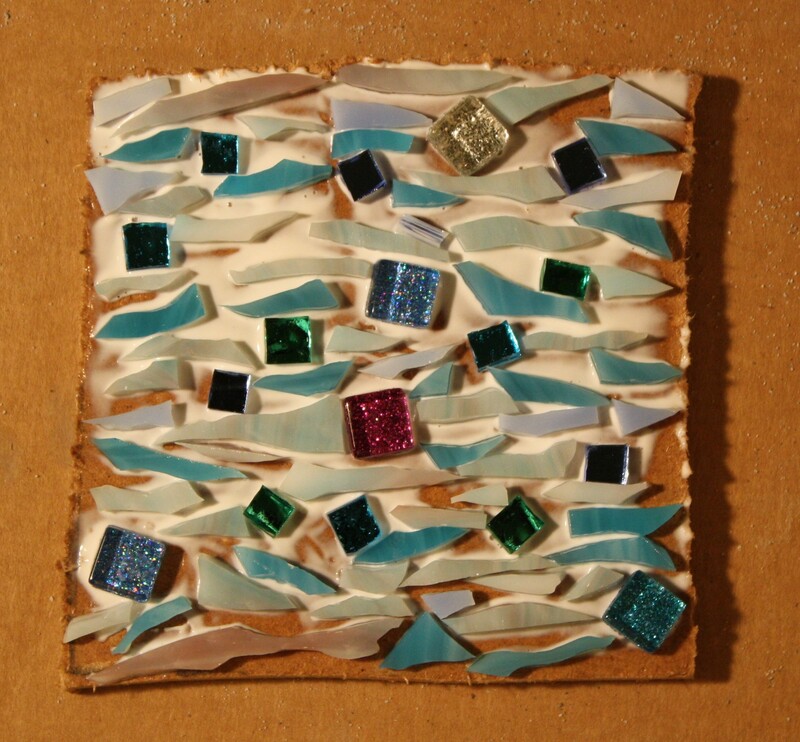 I was going to use stones in the mosaic but when I got home I had a box full of new glass tiles that I sent away for. Of course I had to use some of the new glass so I abandoned the stones. I went with the design I had planned, though. It also has to do with the spaces between. You’ll notice the big grout lines (the white part). 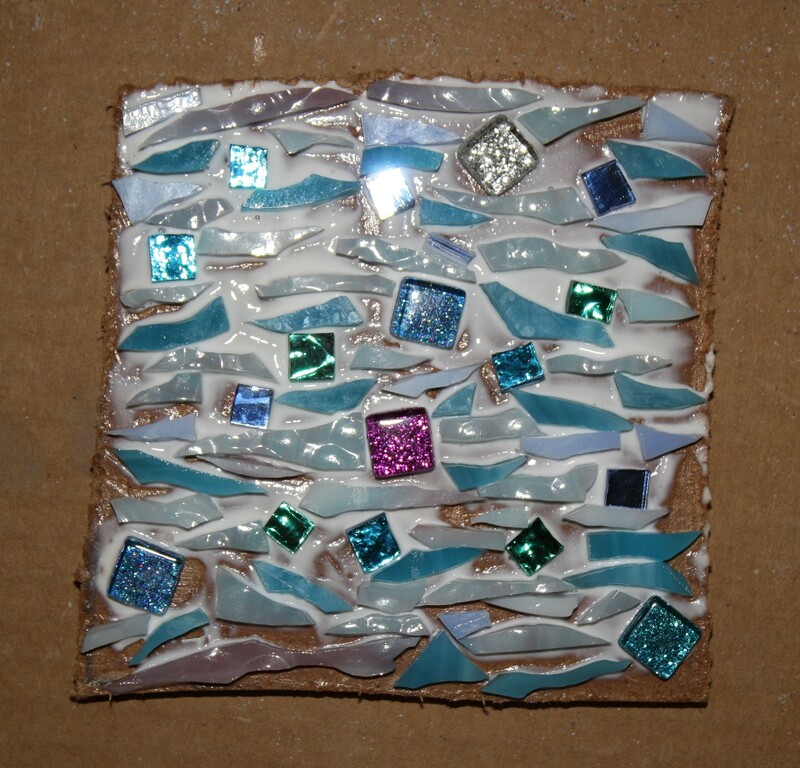 Grouting the spaces between is going to make a big difference in the look of this mosaic. I included 2 pictures of the mosaic because I couldn’t decide which I liked better. One is with a flash and the other is without a flash. You can see the design better without the flash but with the flash you can see how sparkly the glass is. I’ll leave it to you do decide which you prefer.